Even if you don’t consider yourself a productive person, you still have some type of morning routine to kick off the workday. If it’s a daily mad sprint to the train stop with coffee in one hand and a breakfast burrito in the other, there’s probably still at least some forethought (breakfast burritos don’t just happen). But a bedtime routine? If yours consists of just falling asleep during The Daily Show with a cocktail, you’re doing it wrong. A productive tomorrow begins tonight, and a nighttime checklist can help establish sleep-positive habits that will carry you through the day, as opposed to dragging yourself to five o’clock. 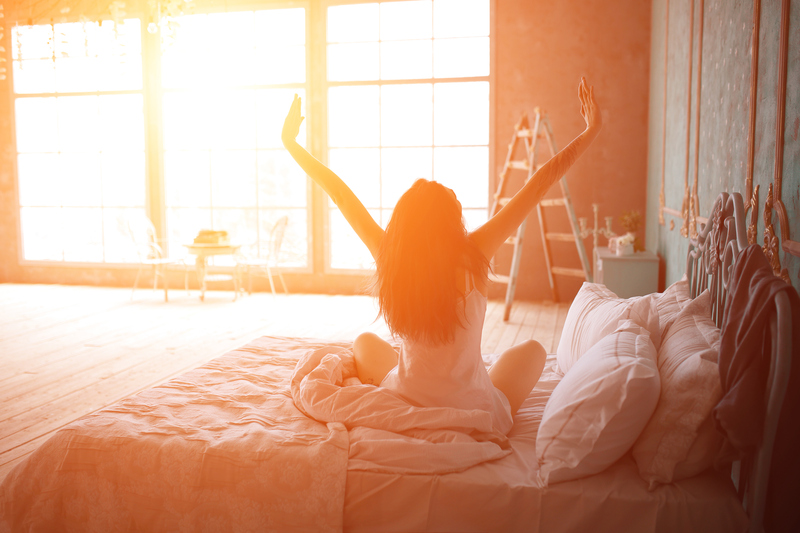 Before you plan on going to sleep, try implementing some (or all) of these steps to set yourself up for a better, more productive morning. Step Away from the Spreadsheet. Shut off your brain and stop working. The tasks will still be there tomorrow—plus some more, because work. They can, and should, wait. Look Back, Look Ahead. Review what you accomplished today, then make a to-do list for tomorrow. But don’t feel that you must list everything for tomorrow—the top three biggies will suffice. And don’t make these lists too close to bedtime, as per the shut-off-brain/stop-working directive above. Cool It. According to the National Sleep Foundation, the ideal temperature for shut-eye is around 65 degrees. The cooler you are, the sleepier you become, so turn down the thermostat. Cut Off the Alcohol (and Snacks). At least two hours before bedtime, cut off the booze, food, and—you’d be surprised how non-self-explanatory this is—stimulants (not just coffee and soda, but also sugary desserts and even fruits). “Digestion and sleep don’t mix well,” says Hilary Thompson. Clean It Up. Waking up to a messy household isn’t the way to start the day. Tidy up the kitchen, your bedroom, your workspace, and everything else within eyesight before you hit the sack for a clearer path in the morning. Dress for No Stress. It worked when you were a kid, so why not now? Plan and lay out tomorrow’s clothing ensemble tonight, and you’ll have one less thing to worry about. “And, if your first outfit of the day is gym clothes for a morning workout, even better,” adds Thompson. Fade to Black. Again, it’s a melatonin thing—the darker the room, the better the slumber. Ever notice how much sounder you sleep in a hotel room? Consider investing in some blackout blinds, or at least an eye mask. Nix the Netflix. As per the above, shut down all screens an hour or two before bedtime, including TVs and computers. If you absolutely must squeeze in one more episode of Iron Fist, try some blue-light-blocking sunglasses. Pause the Paws. Sorry, pet lovers, but letting dogs and/or cats on your bed isn’t helping your sleep—when they toss and turn so do you. Keep your four-legged friends out of the bedroom, or, if you can’t bear to be apart, set them up with their own bed across the room. Try out a few of these tips tonight, and you’ll thank yourself when you have a productive tomorrow. Happy sleeping! Thanks for these all powerfull recomendations! Having this routine would be a big help for you to have a productive day.